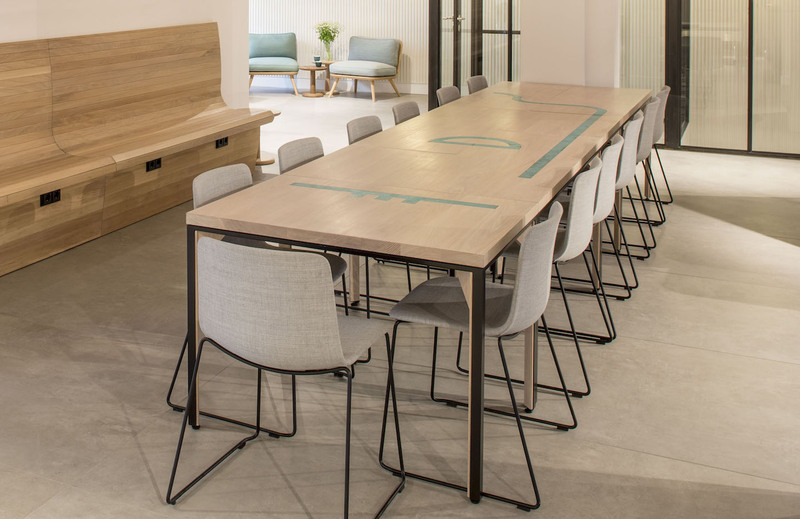 Hermann’s communal table was a commission to manufacture and collaborate on the design with Freehaus Design Architects. 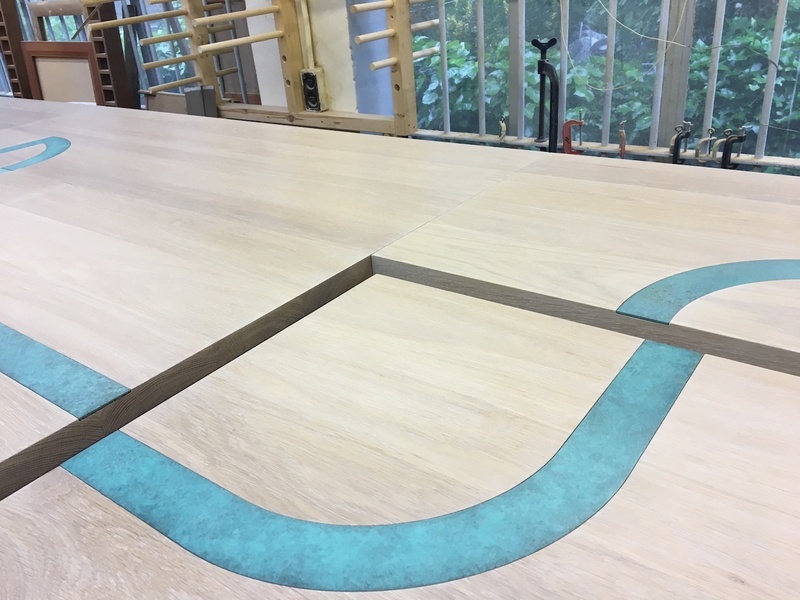 The commission was for a communal table that could be separated into five separate pieces for use in the flagship store of Hermann’s, East Berlin, Germany. 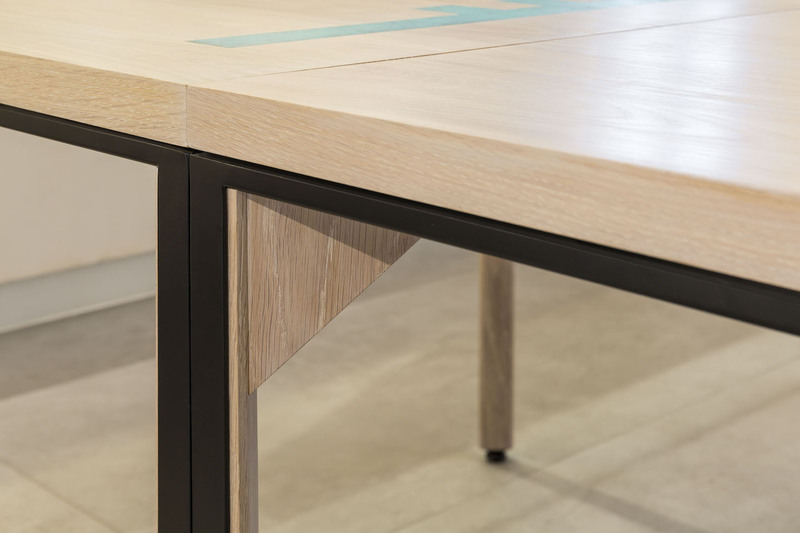 The challenge was to incorporate patina finished solid copper inserts into 40mm solid oak top with as low as possible black metal profile framework. Completed in May 2017.